FX has set the premiere dates for two of the year's most anticipated new comedy series, Atlanta and Better Things, as well as the return of the acclaimed and award-winning American Horror Story for its sixth installment, it was announced today by Chuck Saftler, President of Program Strategy and COO, FX Networks. Atlanta, a half-hour comedy series created by and starring Donald Glover, will premiere on FX on September 6, followed two days later by Better Things, a half-hour comedy series co-created by Pamela Adlon and Louis C.K. and starring Adlon. Then on September 14, the as-yet-untitled sixth installment of the Emmy® and Golden Globe winning limited series American Horror Story returns from co-creators Ryan Murphy and Brad Falchuk. Atlanta, the new comedy created by and starring Donald Glover, will have its series premiere on FX on Tuesday, September 6 at 10 PM ET/PT. In Atlanta, two cousins work through the Atlanta music scene in order to better their lives and the lives of their families. "Earn Marks" (Donald Glover) is a young manager trying to get his cousin's career off the ground. "Alfred Marks" (Brian Tyree Henry) is a new hot rapper trying to understand the line between real life and street life. "Darius" (Lakeith Lee Stanfield) is Alfred's right-hand man and visionary. "Vanessa" (Zazie Beetz) is Earn's best friend and the mother of Earn's daughter. Glover serves as Executive Producer, along with Paul Simms and Dianne McGunigle of MGMT Entertainment. Atlanta is produced by FX Productions. Better Things, the new comedy co-created by Pamela Adlon and Louis C.K. and starring Adlon, gets its series premiere on FX on Thursday, September 8 at 10 PM ET/PT. Better Things centers on Sam Fox (Pamela Adlon), a single, working actor with no filter raising her three daughters, Max (Mikey Madison), Frankie (Hannah Alligood) and Duke (Olivia Edward) in Los Angeles. She's mom, dad, referee and the cops. Sam also watches out for her mother, Phil (Celia Imrie), an English expatriate, who lives across the street. Sam is flawed and fierce with her love for her daughters, and her own mother, as well. Sometimes, heaping the love on when she feels guilty. Sam's just trying to earn a living, navigate her daughters' lives, have fun with a friend or two and also - just maybe - squeeze in some private time once in a while. Adlon serves as Executive Producer alongside Louis C.K., Blair Breard, Dave Becky and 3 Arts Entertainment. Better Things is produced by C.K. 's production company Pig Newton for FX Productions. 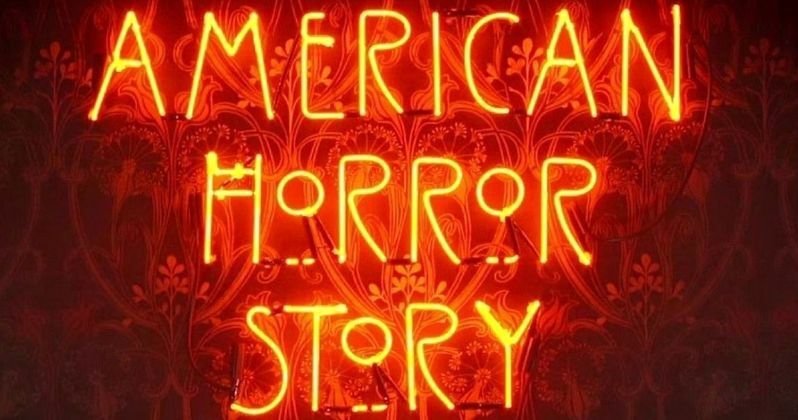 American Horror Story returns with for its sixth installment on FX on Wednesday, September 14 at 10 PM ET/PT. No plot details have been released thus far, but it has already been confirmed that Lady Gaga will return in Season 6. In addition, FX Networks has previously announced the upcoming premiere dates for Tyrant, The Strain and You're the Worst. Tyrant, the drama from Emmy and Golden Globe Award-winning Executive Producer Howard Gordon, returns for its third season tomorrow, Wednesday, July 6 at 10pm ET/PT on FX. Tyrant is the story of an unassuming American family drawn into the inner workings of a turbulent Middle Eastern nation. Bassam "Barry" Al-Fayeed (Adam Rayner), the youngest song of a war-torn country's controversial dictator, returns to his homeland after a self-imposed decades-long exile in America, only to be forced back into the treacherous familial and national politics of his youth. When his brother Jamal (Ashraf Barhom) assumed the presidency, Barry hoped to introduce humanitarian freedoms to his homeland. But when it became clear that Jamal lacked any sense of morality or justice, Barry colluded with the U.S. government to overthrow him. The coup failed, and Barry narrowly escaped execution. Determined to end the corrupt Al-Fayeed rule, Barry assumed the alias "Khalil" and joined the insurgency, quickly becoming a leader, and a symbol of freedom and hope. But when the Caliphate set its sights on Abuddin, Barry and Jamal became unlikely allies to defeat the invaders. At the conclusion of the season, Jamal was shot while delivering a triumphant address to the people. With Jamal's fate unclear, the future of Abuddin falls once again into Barry's hands. The series also stars Moran Atias, Jennifer Finnigan, Noah Silver, Cameron Gharaee, Melia Kreiling, Alexander Karim, and Chris Noth. Annet Mahendru (The Americans) also guest stars. The Strain, the acclaimed thriller from Guillermo del Toro and Carlton Cuse, based on the best-selling "The Strain Trilogy" by del Toro and Chuck Hogan, will debut its third season on FX on Sunday, August 28 at 10 PM ET/PT. As season three begins, New York City is a battleground. Written off by the federal government, the people of New York City must fight for survival on their own. The question is who will win? Humans or strigoi? Our heroes win victories, but are not winning the war. Beset by personal conflicts - betrayal, disappointment, paranoia - our group is splintering... Meanwhile, the Master is close to executing an irreversible transformation of the world. Is there still hope to save the city and humanity? The ensemble cast stars Corey Stoll, David Bradley, Kevin Durand, Jonathan Hyde, Richard Sammel, Natalie Brown, Miguel Gomez, Max Charles, Ruta Gedmintas, Rupert Penry-Jones, Samantha Mathis and Joaquín Cosío. The Strain hails from Showrunner/Executive Producer/Director/Writer Carlton Cuse along with Co-Creators/Executive Producers/Writers Guillermo del Toro and Chuck Hogan. Gary Ungar, J. Miles Dale, Bradley Thompson, David Weddle and Regina Corrado also serve as Executive Producers. The Strain is produced by FX Productions. You're the Worst, recently nominated for a TCA Award for "Outstanding Achievement in Comedy," will return to FXX for its third season on Wednesday, August 31 at 10 PM ET/PT. An original comedy from creator and executive producer Stephen Falk, You're the Worst puts a dark twist on the romantic comedy genre. Narcissistic, brash, and stubborn Jimmy Shive-Overly (Chris Geere) has inadvertently found himself paired up with cynical, people-pleasing, and self-destructive Gretchen Cutler (Aya Cash). Rounding out the cast is Desmin Borges, who plays Edgar Quintero, Jimmy's once homeless war veteran roommate who is struggling to manage his PTSD while forging a post-combat life; and Kether Donohue as Lindsay Jillian, Gretchen's best friend and former partner in crime who's exploring her identity after her loveless marriage was resurrected by a surprise pregnancy. You're the Worst is produced by FX Productions.